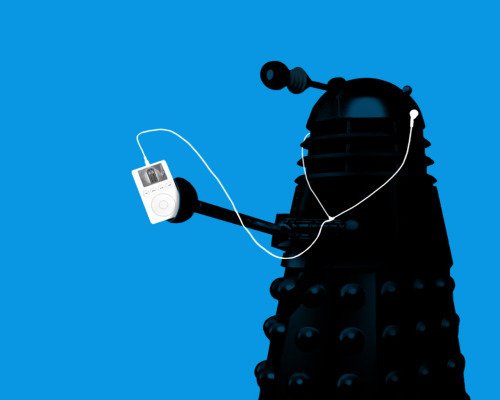 I love it, a Dalek with an ipod. Can the Tardis be far behind? Hey tumblr people. Anyone know who this person is that is "holding" the cardinal cave address? Are they, like normal tumblrs? Was this even the original address? Why didn't it come up in feeds? What a helpful fan that person must be. And I don't know why Feeds didn't pick it up. He is incompetent. Or a fan hoping to get a personal email from Ryan. Lets see the worst in others, shall we? You and I are of one mind bot. That is so strange... How can someone just "hold" someone else's account? its a completely different account..accounts cant be minded on tumblr. the two accounts cave.cardinology.com and cardinalcave.tumblr.com both direct to that tumblr that ther person is "holding"... so has someone hacked? or am i being slow here? surely if ryan wanted the address back, he would get someone in management to email the person? that said, management might not want ry to have his blog back - we can live in hope anyways! Could it not be someone in management holding it so that no-one does hijack it? No, it's someone who wants Ryan to email him/her. Are the tumblr people digging into him? I don't know. A few reblogged thinking it was Ryan, commenting on the excellence of his picture quality and such... and welcoming him back. Other than that I don't think enough have latched on... they will. Stand by.